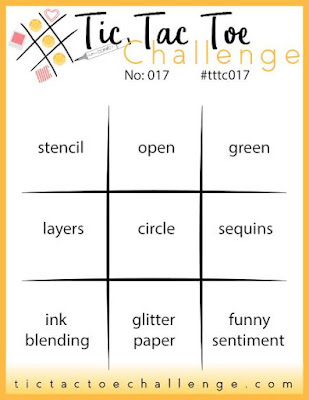 It's another fun week for the Tic Tac Toe Challenge! I designed the elements for the board this week and knew for sure that a funny sentiment had to be part of it. I did manage to incorporate all the elements into it this time. One thing I always get a big kick out of is reading funny cards and they certainly range from the cute to super snarky. I thought this one was more "tongue in cheek" and I decided the greatest impact would come from separating the sentiment into two parts so the punchline was on the inside of the card. 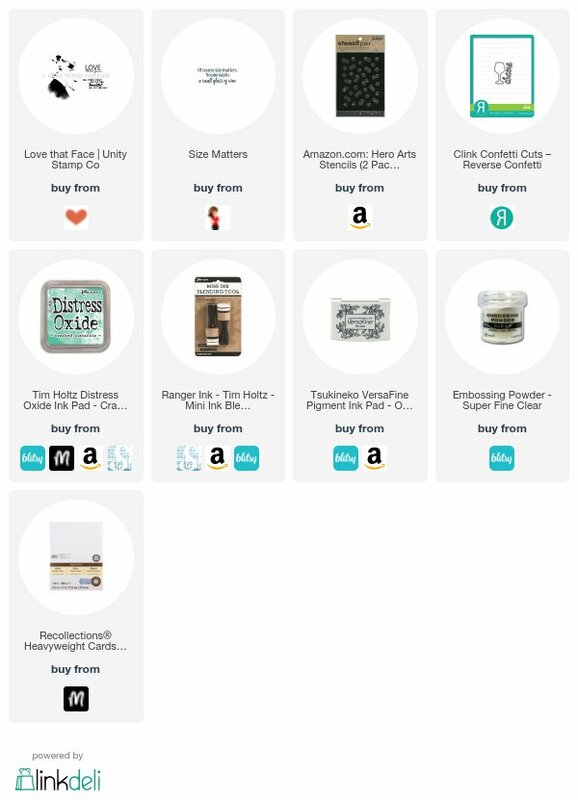 Do come and check out the challenge here. The main stamp image I used is from Unity Stamp Company of a classic looking lady with a slightly coy expression. 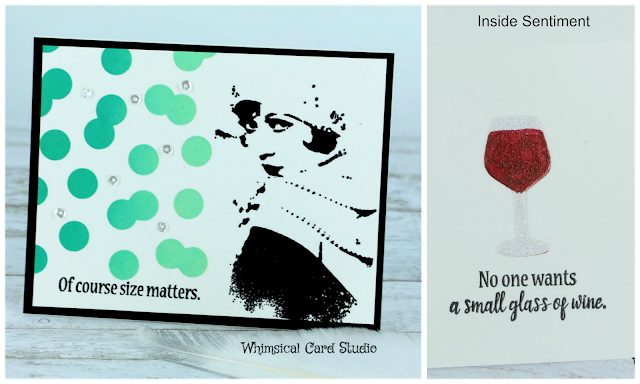 I thought it was perfect to pair with a sentiment from So Suzy Stamps. I first stamped the lady (Versafine ink) on a piece of white cardstock sized 4.25" x 5.5", then stamped the first line of the sentiment (first I covered up what I did not want to stamp with post it tape, added ink, removed the tape then stamped on the paper). I embossed with clear embossing powder over the stamped images. Next I placed this stencil from Hero Arts onto the unstamped portion of the card, taped it down with post it tape, then used two green shades of Distress Oxide to blend over the stencil. 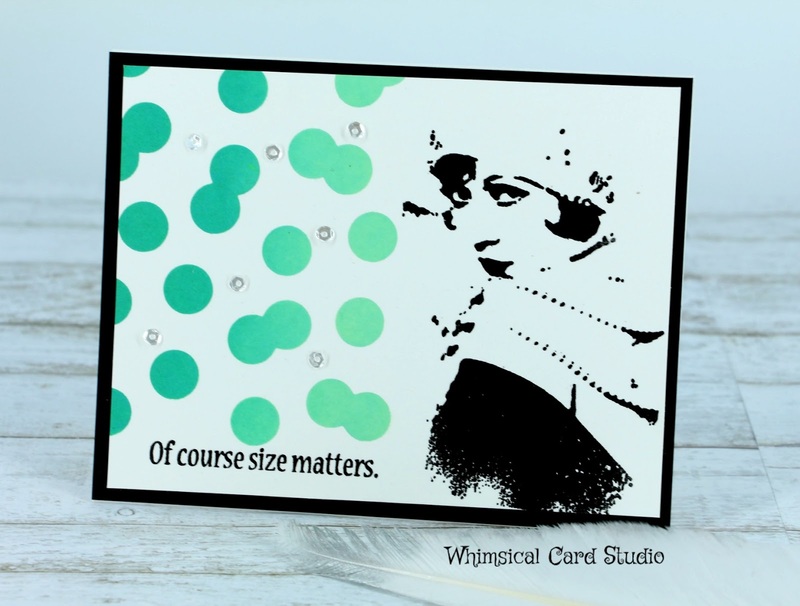 I then added some clear sequins to embellish, layered on top of a piece of black cardstock and added the front card panel to an A2 sized top folding card base from white cardstock. On the inside of the card, I stamped the second part of the sentiment (using same technique as before) and put a die cut wine glass above using a Reverse Confetti die (cut from white glitter paper). I added the "wine" using a dark red Copic marker. 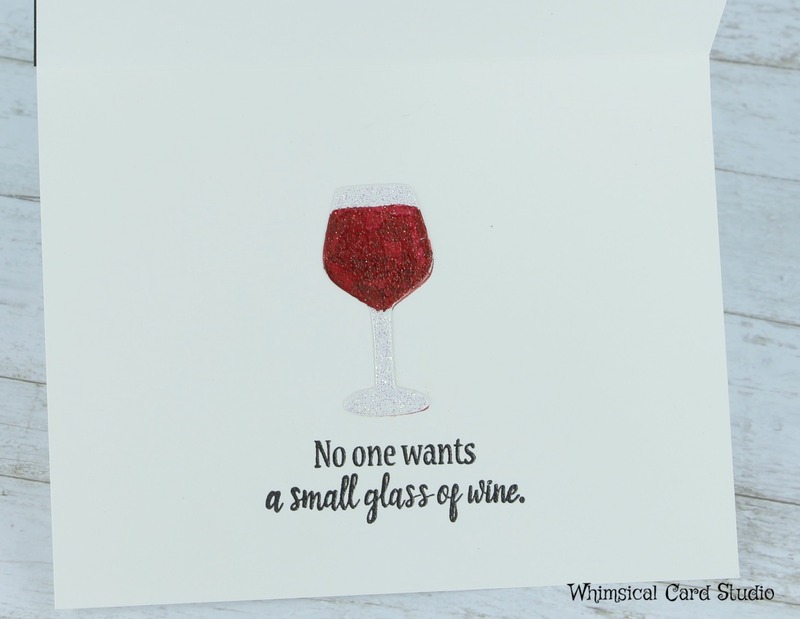 This is a fast and easy card to make - you could even skip the glass of wine image on the inside or stamp it instead of using a die cut. 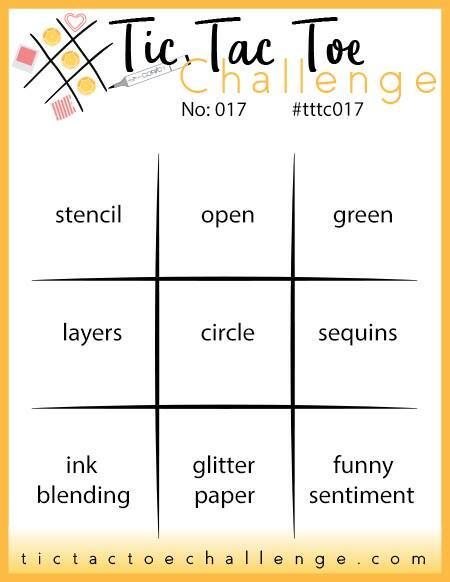 Hope you got a laugh out of this card - now we'd like to see you play along! Pull out your funny sentiments and show us your funny side.